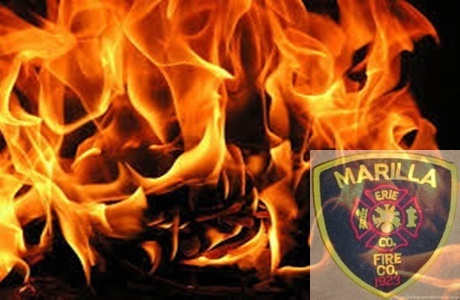 Marilla Firefighters responded on 3/28/18 at 0016 Hrs for a report of a structure fire on Porterville Rd.Marilla 9-1 went on location reporting a working fire and requested mutual aid to the scene. Marilla 9-1 further reported a fully involved attached garage. Jamison Road, East Aurora, & Wales Center responded as mutual aid to the scene. Elma filled in at Marilla. The fire was placed under control in 36 minutes.